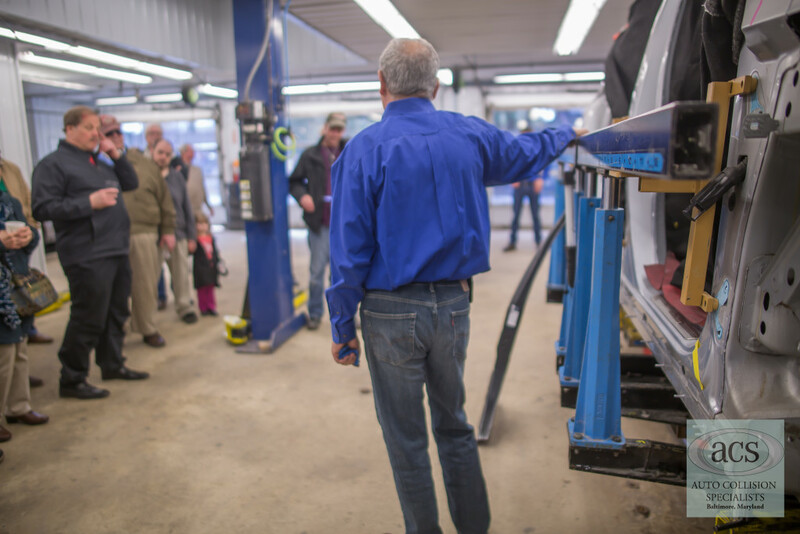 On March 22, 2015, Auto Collision Specialists hosted an Open House for the Greater Washington Section of the Mercedes-Benz Club of America (MBCA). This was a timely event since ACS celebrated 10 years of being Mercedes-Benz certified in February! 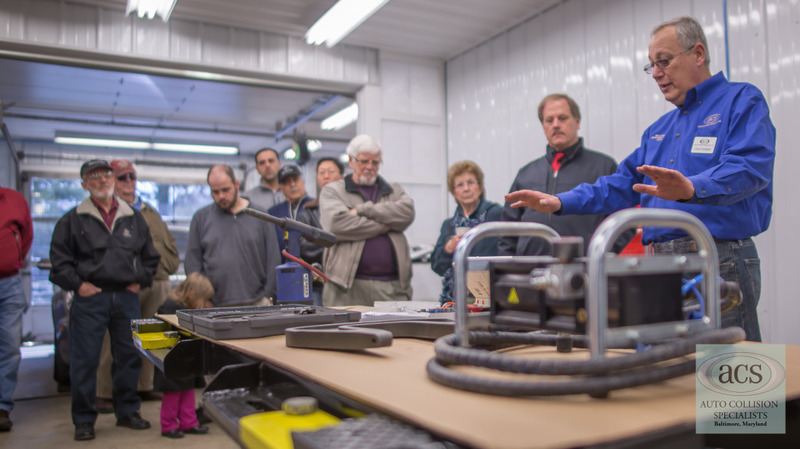 MBCA members had the opportunity to watch Baltimore’s first Mercedes-Benz Certified Collision Center in action, as ACS personnel demonstrated and discussed the collision repair technologies that they use to return damaged Mercedes-Benz vehicles to pre-loss condition. Chuck and Dan Scilipote demoed Mercedes-Benz aluminum repair technologies, and how the aluminum repair process vastly differs from steel repair. The various welds and welding systems require a keen attention to detail, and very arduous trainings, which ACS is proud to have completed! 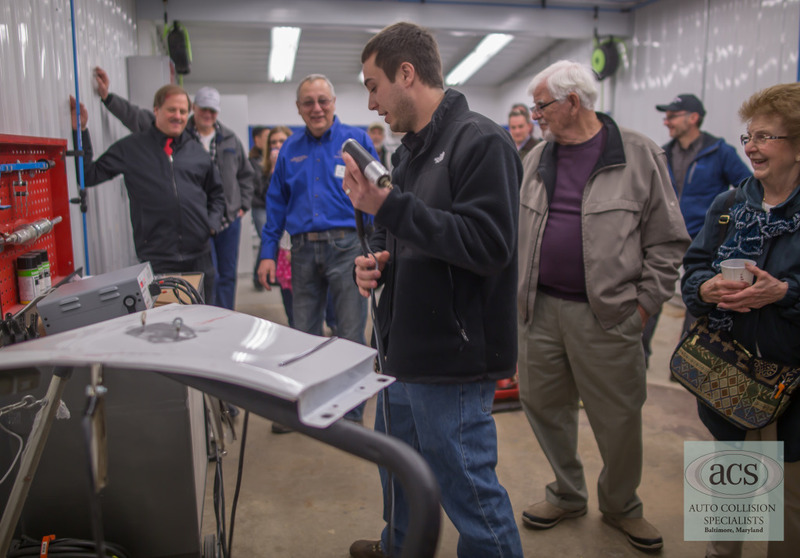 Charles Scilipote demoed the Glasurit 90-Line waterborne paint system. 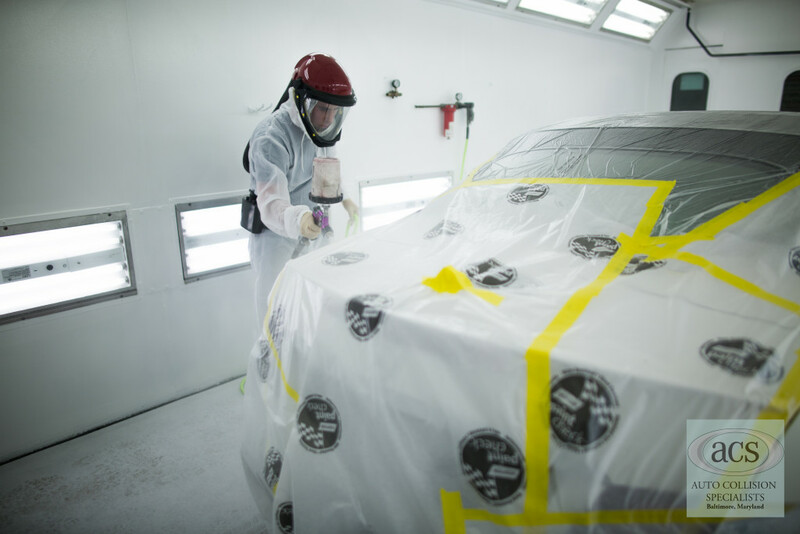 Glasurit is a top of the line paint system that has been granted OEM approval from Mercedes-Benz, and can match the most complex colors. ACS is proud to use the Glasurit system because it’s the #1 waterborne paint product in the world, meaning it uses less harmful chemicals and releases significantly fewer emissions, making for a reduced carbon footprint and a cleaner environment. Chuck Scilipote discussed the Mercedes-Benz certified frame repair equipment used to make precise structural repairs. The structure of a Mercedes-Benz is so uniquely engineered that only repairs with a dedicated framing bench, offering zero tolerance, can be certified by the manufacturer. The Celette is equally as brilliant in engineering as Mercedes-Benz vehicles. It can precisely replicate equipment that vehicles were built on, providing frame alignment that is incredibly specific to each model. The event was a huge success, thanks to the wonderful visitors and the food catered by the incredibly delicious Cafe Normandie of Annapolis, Maryland. Thank you to all that came out for the open house, and we hope to see you again at next year’s! If you’d like to speak to an Auto Collision Specialists representative about our technology systems or car repair, call us at (410) 833-5697 or click here to contact us online.